How to win a trademark opposition, cancellation, resolve a brand or trademark problem. This web page can read to you. I explain everything in email. In resolving my trademark problems, I learned the hard way, and now help others. I can help with a simple or complex trademark problem (with or without a Trademark Attorney), as an experienced trademark consultant and advisor. An Office Action can be a problem yet a trademark opposition or cancellation is a very serious matter that must be dealt with as if you are about to lose all uses of your name and potentially be sued for infringement as well, since that's what these generally mean. If you currently need help with a trademark problem click here. Not an attorney, I have read thousands of trademark case documents, oppositions, cancellations, appeals, motions, briefs, office actions and letters, settlement offer letters and settlement agreements, line by line, paragraph by paragraph, dissecting, looking for patterns, storing what I felt to be the 'best and sweetest' strategies and wording and arguments and defenses, analyzing strategies that worked, noting those that did not. I read and studied the letters and other writings exchanged between leading attorneys from leading law firms, and relentlessly studied every other aspect relating in any way to overcoming trademark problems since I faced my very own trademark problem(s). Study combined with extensive brand experience, copywriting, and generally living quite a long time, (also refusing to lose my own trademark), is how I fell into this. The problem solving procedure and systematic approach required to resolve business and marketing problems is extremely similar to the unique way I resolve trademark problems - based on research and analysis I found few attorneys have time for. The factors that cause trademark problems and help resolve them turn out to include all the things I've done in my life - for 30+ years. I've been helping attorneys and non-attorneys resolve trademark problems ever since, doing research, analyzing cases, helping develop responses to Office Actions, and answers to oppositions and cancellations, as well as oppositions, cancellations and briefs as a result of investigating adversaries and developing strategies, options, alternatives and contingencies based on findings and trademark law. 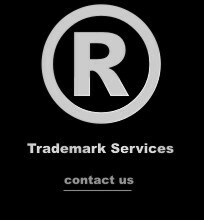 This Site contains a great amount of information about trademark problems, however, I never recommend anyone take the risk of attempting to resolve any trademark problem without the help of someone that understands trademarks and branding. My services often augment yet are not intended as a substitute for advice from a knowledgeable and qualified trademark attorney licensed to practice trademark law. I never considered serving as an expert witness, yet 30+ years as Cummings Design seems to qualify me to help in re branding, trademarks, and trademark problems though I always recommend the oversight and participation of a qualified trademark attorney. Here's the story of the trademark problem(s) I had (and resolved). By August of 2004, I was able to successfully defend a trademark opposition 'Pro Se' (on my own and without the help of any Attorney) in an interesting and unusual trademark inter partes [Latin: between parties] proceeding. Prior to this, I had successfully reversed a USPTO final refusal Office Action in an ex parte [Latin: by or for one party or by one side] proceeding; involving a final refusal Office Action from the trademark examiner for which I filed an appeal and an appeal brief. Before a trademark application is allowed to proceed to being Published for Opposition the application is reviewed by a USPTO trademark examiner who may issue a non-final Office Action or a Final Office Action which is a final refusal of the trademark. The response to a non-final Office Action is a formal letter addressing the concerns stated by the trademark examiner in the non-final Office Action. The response to a Final Refusal Office Action requires an appeal and an appeal brief. My trademark opposition involved a major International company represented by the senior partner of one of the world's leading intellectual property law firms. The trademark opposition began when I received an innocent looking Extension of time to oppose on April 8, 2003. A Notice of Opposition on July 16, 2003 followed the extension of time to oppose. As is customary, the Notice of Opposition named me (the trademark applicant) as defendant, and the Opposer as the plaintiff. Also customary, I was given 40 days to file an Answer. You must file an Answer within the time specified by the USPTO if you receive a Notice of Opposition. If you fail to do so, you can lose the Opposition by default. You must also carefully follow other USPTO and TTAB procedures. Writing and properly filing the Answer may seem simple, though I highly recommend that you have me help in order to avoid further complications - with ot without an attorney. To the layman, and even many attorneys, an Opposition and the appropriate answer are not as they may first appear. In an answer, a boilerplate solution (which many attorneys choose), is definitely not the answer. Filing the proper Answer to the Notice of Opposition is the first step to winning in a trademark opposition, and the step the Opposer hopes you do not take. Developing a strong Answer (not typical boilerplate), based on knowledge of the Opposer, the industry, and the specifics of the situation, can set the stage to win. The time and effort and thought put into the answer sets the foundation for all that follows. Many attorneys fail at this critical stage. Opposition dismissed - 'with prejudice' - the best possible outcome. In the end, not only was the opposition to my mark dismissed, it was dismissed 'with prejudice', meaning that the plaintiff can never bring it up again (the best outcome in a trademark opposition). This opposition never made it to the tribunal of judges at the Trademark Trial and Appeal Board since, after much consideration and research, I successfully convinced the Opposer (through its Attorney) to withdraw the opposition, with prejudice. This took a great deal of strategy, due diligence, and research. The Opposing party's Attorney had much earlier offered a settlement (which I refused), and offered to withdraw the opposition 'without prejudice' (which I also refused). Once an answer is filed, the opposition cannot be withdrawn 'without prejudice' unless the Opposer has the consent of the other party (which I refused to consent to). Decision reversed in a prior ex parte Trademark Appeal. Prior to the Opposition, I was successful 'pro se' in an ex parte appeal where I was able to convince the Trademark Trial and Appeal Board to reverse its final refusal and allow my trademark to proceed to registration. I filed the ex parte appeal on October 30, 2002 and it was terminated and the decision reversed in my favor on May 23, 2003. My response to a non-final action resulted in a final refusal, at which time I filed the appeal to the Trademark Trial and Appeal Board. The appeal brief I filed December 27, 2002 was the document that convinced the trademark examiner to reverse the decision. The examiner allowed my application to proceed. As is normal in the process, proceeding to registration allows your trademark to be published for opposition, and, as can happen, a Notice of Opposition was then filed (which I successfully defended). All in all, in every respect, I won... with prejudice - the best way. If I were an Attorney, I probably would not be able to do all I do as a trademark and brand consultant. As it turned out, my 30+ year background in advertising, marketing, and promotion enables me to help develop argument that most trademark attorneys overlook. I began helping individuals on their own (Pro Se), still do, and now also work in the background for attorneys and their clients. Much bigger cases than I imagined - and I have no plans to pass the Bar Exam. Trademarks are brands - sold in commerce - marketed, promoted, advertised. I found I know more about brands - marketing, packaging, promotion, distribution - than nearly any trademark attorney ever could - the key. With brand knowledge, tenacity, and investigation, I help win trademark cases. ... and even more possible with my help, coaching, writing, analysis. Chances of winning are even more greatly increased when you have me work with your attorney and/or your law firm which I am honored to do and enjoy. I always recommend, invite and encourage the advice and close participation of qualified trademark attorneys and intellectual property specialists. You can win without a Trademark Attorney (as I did), however, the only way I was able to win was by learning the hard way... by reading 100's of cases, diligently studying trademark law, gaining insight into how other cases were won (and lost), and spending a tremendous amount of time and effort (i.e. years). I now help others with trademark problems including issues related to a non-final office action, final refusal or final office action, appeal to the Trademark Trial and Appeal Board, Notice of Opposition and/or Petition for Cancellation, and understanding trademark law and trademark-related concepts in general. Attorneys and non-attorneys turn to me (non-attorney). Today, Attorneys and individuals hire me to help settle, win and/or avoid simple as well as extremely complex, intricate trademark problems. Self-taught in law, I have read or glanced 1000's of trademark cases and all the related letters and associated documents. I assess trademark problems from a business and marketing perspective, something lawyers rarely do since they think mainly legal. Trademark problems are based on marketing and business principles. Self-taught in law from my own trademark problem, and now many others, I think differently than most trademark lawyers. The Dupont Factors, used to determine likelihood of confusion, are directly related to brand marketing principles and concepts - not law - which is how it clicked. I help by email worldwide, prefer all in writing and documented for review. Attorney, non-Attorney, you represent yourself (or your client) as I help in the background to make better decisions in documents you submit as well as in strategy. My goal is to help resolve trademark problems as well as provide a greater level of assurance that the issues raised will never be raised again in the future. "I wish I found you long ago, for trademark and marketing solutions." "Really, really impressive work. Thanks so much for this." "All I can say is you've earned my deepest respect, really. Now I understand things that I didn't before, thanks to the way you explained everything." "Thanks so much for pointing out the risk associated with the Mark they proposed we change ours to, and also for scaring the crap out of me." "They filed the withdrawal today. Thank you for all the help and input you provided. You definitely know trademark issues and can draw a good strategy for the resolution." "I just finished reviewing your work and I must say you are an excellent researcher! You seem to pay a lot more attention to detail than most IP lawyers would, you clearly have a passion for what you do. there's at least a chance we could keep the name." "Just wanted to express my appreciation for everything that you're doing. Really love the work, the thought, the strategy. Totally awesome. Regardless of how this turns out - you're making an unpleasant experience much easier. (Kind of like a good dentist!!)" "Impressive work. You're providing really good value. Thank you!" "All the thanks go to you Rob, we never could have done it without you!" "Just a quick note to thank you for your help. You were genuine, pushed me when I needed a push, and patiently waded through my "venting" at the end. Your assessments were honest and on-target, and I appreciate it." "I really appreciate all your help with this matter. Instead of me mucking around and slowly coming up to speed on the issues, with your help, I was able to get a quick and very helpful understanding of the matter and what would be good to do. Again, I really appreciate it." There have been many, many, many more comments like the above from civil attorneys, trademark attorneys, and individuals.